The ministry has also asked state-owned fuel retailing firms to facilitate enrolment of beneficiaries for Aadhaar. 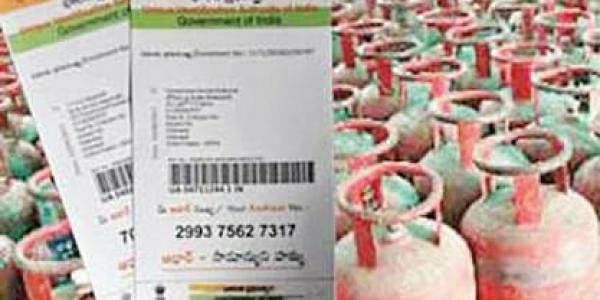 NEW DELHI: The central government on Wednesday made having an Aadhaar card mandatory for economically backward women to avail of free cooking gas connections under the Pradhan Mantri Ujjwala Yojana (PMUY) scheme. The PMUY scheme is aimed at providing five crore women from below poverty line (BPL) households with free LPG connections within three years. However, the current move comes just a few months after the government made Aadhaar cards mandatory for anyone wishing to avail of LPG subsidies. “Individual beneficiaries desirous of availing the benefits under the scheme (PMUY) are hereby required to furnish proof of possession of Aadhaar number or undergo Aadhaar authentication,” said the gazette notification of the rule issued by the Ministry of Petroleum and Natural Gas. Those women from BPL families who want to avail of benefits but do not have an Aadhaar number have been asked to apply for it by May 31 this year. Meanwhile, the government on Wednesday also made Aadhaar mandatory for availing crop insurance policies from the upcoming kharif sowing season. The Agriculture Ministry has issued a directive to rural financial institutes to comply with the new rule from April 1. Till then, crop insurance may be availed by furnishing documents such as bank passbook, voter ID or MGNREGA card.